The nine players making their debut this season marks the highest number since 1996, when the Phillies used a mind-numbing 54 players, 13 of whom made their MLB debut that year. 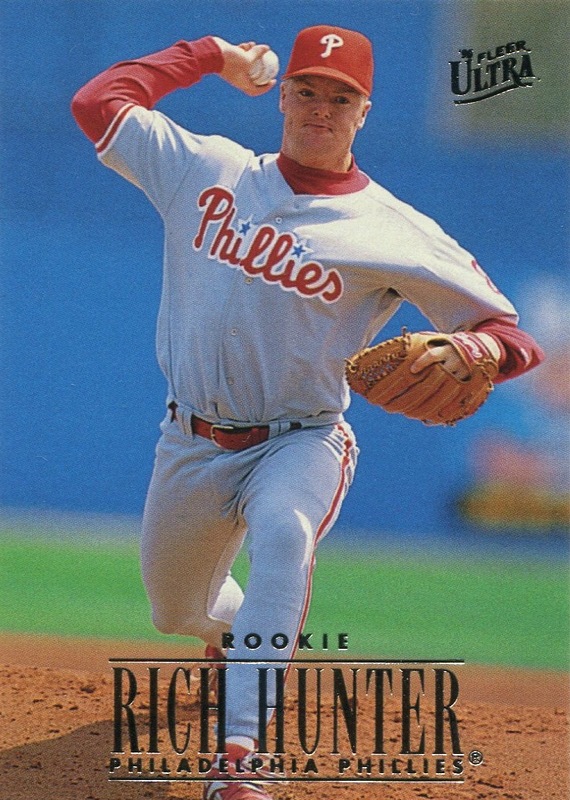 One of those was Scott Rolen, who would win Rookie of the Year the following season, but for some of those players, such as Rich Hunter, 1996 marked the only year that they would play in the Majors. A couple of them, Rafael Quirico, and Carlos Crawford, literally made their sole Major League appearance that season. Sadly for both Quirico and Crawford, they also earned losses in those appearances. 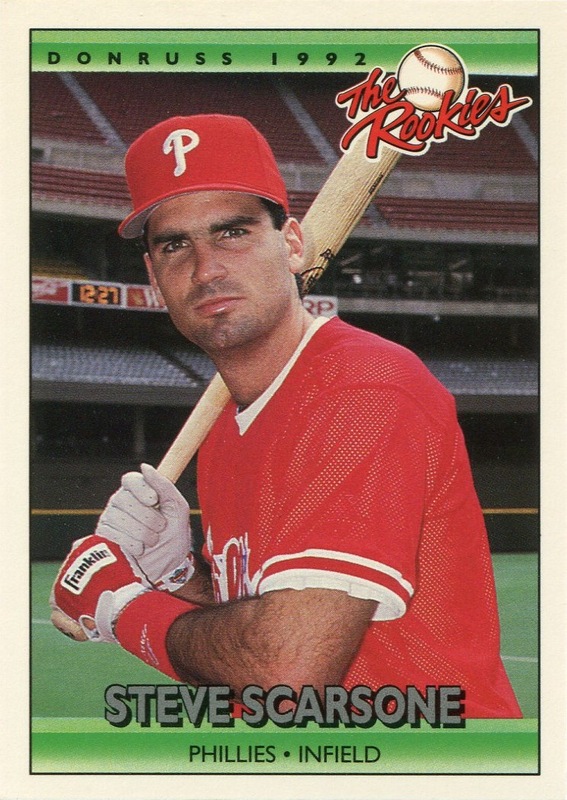 Even though card companies were still churning out massive quantities of product in ’96, a few of those players never appeared on a Phillies baseball card: Bronson Heflin, Jon Zuber*, & Quirico. If it hadn’t been for the Phillies Team Issue set, Crawford would’ve never seen one either. All this got me to thinking about how it’s a shame that the Phillies won’t be issuing an update to the second edition of their team issue set. 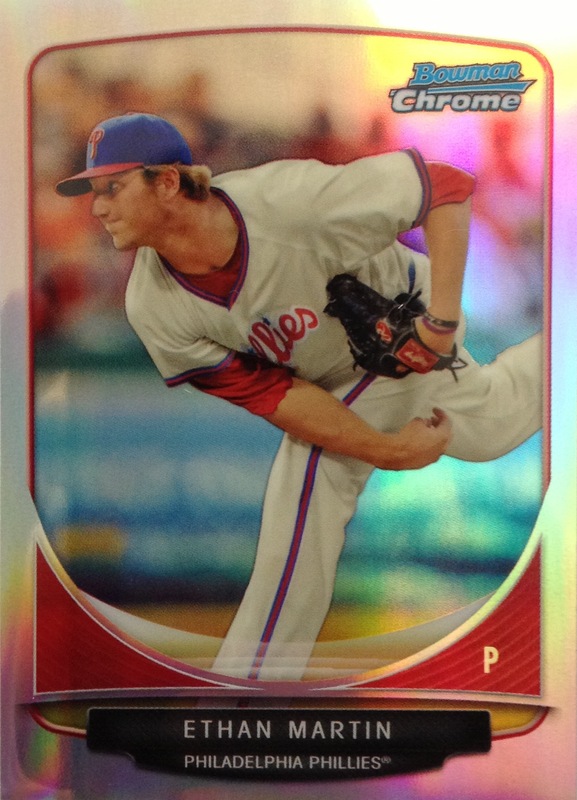 It’s likely that at least a couple of this year’s MLB debuts may never see action in the majors again, and the team issue set was their best hope for a Phillies card. This is a perfect example of what made Topps’s Major League Debut sets in the early ’90s and Donruss’s 1992 The Rookies set so great: you got plenty of cards of players making their only cardboard appearance for a particular team. Without those sets, we wouldn’t have Phillies cards for Steve Scarsone or Jim Vatcher. 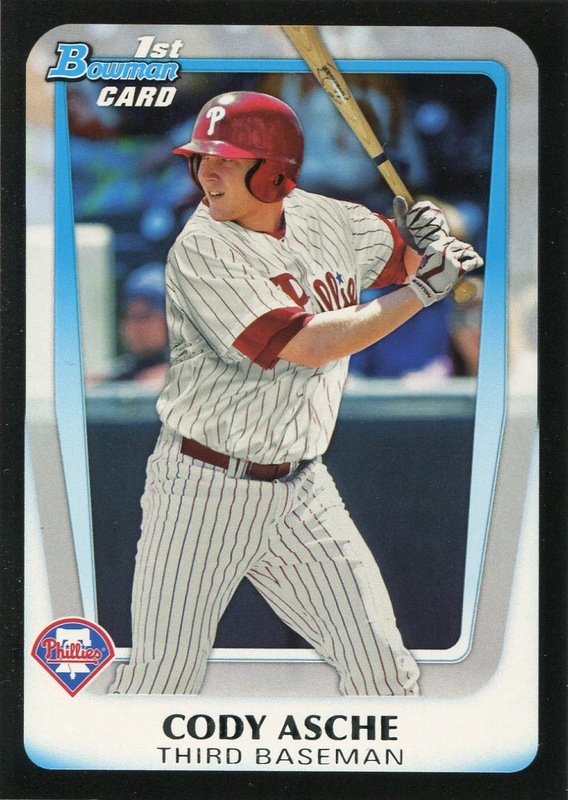 I loved it when Topps resurrected the idea of sets built around rookie and MLB debuts with their ’52 Rookies sets in 2006 and 2007, and although neither of those sets contained the only Phillies card for a particular player, that may have had more to do with dumb luck than anything else. As such, it would be nice to see sets like those again. The irony of all this is that the prospect inserts in the various Bowman sets does provide Topps a way to have at least (pre-)rookie cards for most players. Yet, they are so focused on printing cards for players who are years away from appearing in the majors that they frequently miss players who should appear in those sets. I would argue that there was no reason over the past couple years to not issue a Prospects insert card for B.J. Rosenberg, Tyler Cloyd or Susdorf given that they were all in AAA long enough to make their MLB debut a more probable event than the likes of Julian Samson, Chance Chapman, or Jeremy Hamilton — none of whom ever came close to sitting in a big league dugout. So, out of this year’s players to see their first MLB action this season, I believe we can reasonably surmise who won’t ever appear on a Phillies card. Asche, Hernandez, Pettibone, Ramírez, Rupp and Martin have all already appeared on a Bowman Prospects insert card of some sort, so they don’t even enter the discussion. Garcia has pitched in 21 games this season and is currently on the roster, which means there’s a good chance that Topps will include him in either this year’s Update set (amazingly, they haven’t issued the checklist for that yet) or in next year’s Topps set. 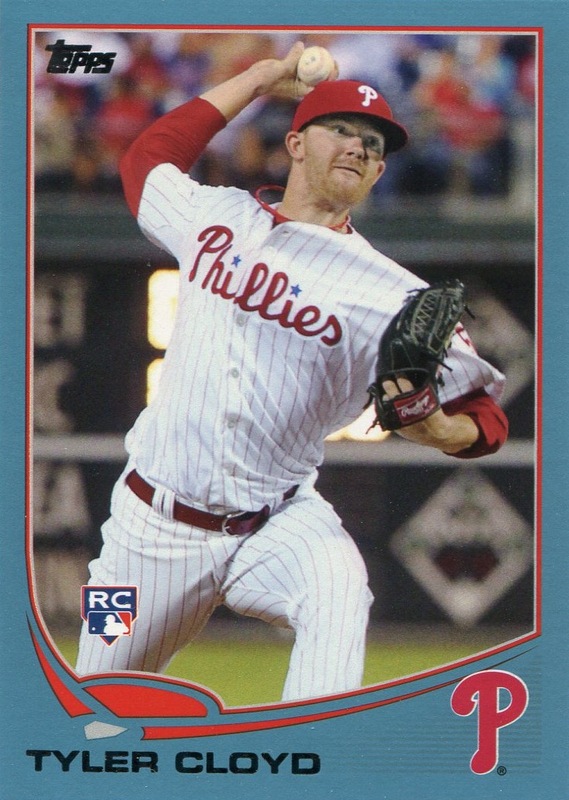 Even though I earlier pegged Susdorf as someone who arguably should have appeared on a Bowman Prospects insert card, his age and the Phillies outfielder logjam make it very unlikely he’ll even appear in a Phillies uniform again (other than in Spring Training next year.) So I’m guessing we won’t see him on a Phillies card. Same goes for Robles, who has only appeared in two games this season, and, truth be told, whose minor league numbers suggest he doesn’t belong in the majors. However, he’s only 24, so things could still change. In the meantime, I continue to wait for Topps to issue a card for B.J. Rosenberg and Freddy Galvis, both of whom made their debuts last year and have spent months on the big league roster. Amazingly, Steven Lerud, who also made his debut last year, already has two Topps cards even though he has appeared in only nine games and spent only a few cumulative weeks on the big league roster. Even more amazingly — Rosenberg and Galvis have appeared in Phillies team issue sets while Lerud has not. It all makes me yearn for the return of something like Topps Total or Upper Deck’s Fortyman.